Many travelers may not know that Maui is home to over 800 farms. The island’s many climate zones help to create growing conditions for everything from goat cheese to lavender to coffee and pineapple. In honor of Harvest Month, we’ve decided to showcase our favorite farms that call Hana home. Charles “Chuck” Boerner has been farming at ONO since he was a kid, and with the knowledge that comes along with decades of experience in true organic farming. 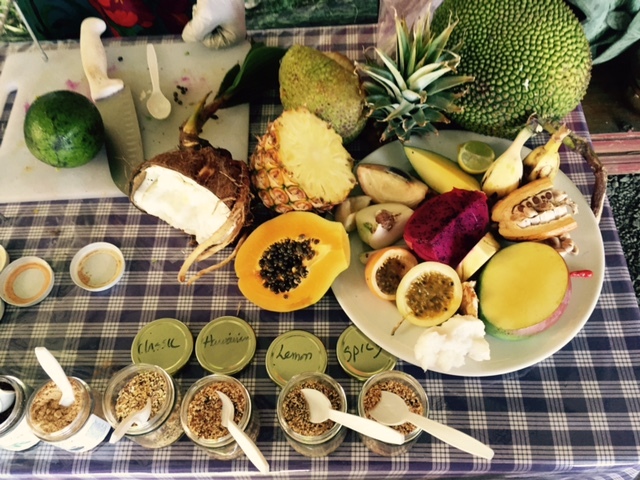 Tours at ONO Organic Farms offer a great deal of information about the many, many types of fruit are grown on an island (did someone say ice cream banana?! ), along with the history of how growing on the island came to be. You’ll have the chance to taste their delicious harvest, sampling avocado, apple banana, Cuban red banana, mountain apple, rose apple, star apple, star fruit, cinnamon, durian, strawberry papaya, low-acid white pineapple, lychee, mango, breadfruit, jackfruit, red sweetsop, soursop, coffee, white and chocolate sapote, pink and white pomelo, pomegranate, egg fruit, kumquat, sweet lilikoi (passion fruit), rambutan, tamarind, tangelo, tangerine, gourmet guava, oranges, and more! Just five minutes up the road from Travaasa is another one of our favorite farms. Hana Gold is a family-owned, working cacao plantation which produces Maui’s only branch to bar chocolate. The farm offers tours offering an inside look at all of the aspects in chocolate production. From the planting of the trees to fruiting to harvesting the pods to the final product – you’ll get to touch and taste your way through the 13-steps of the process. 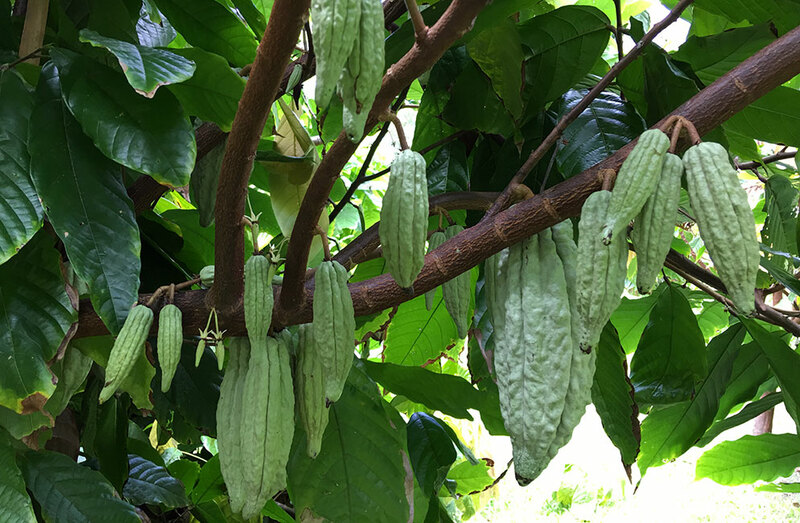 The 45-minute experience also covers the history of chocolate, its introduction to Hawaii, the varieties grown here and around the world. You’ll get an up-close look at how the chocolate is made into Hana Gold’s beautiful bars. Since it is a working plantation, you’ll also get to see the daily operation as it happens, both in the fields and in the processing center. The tour culminates in a tasting of various chocolates. The best part? The tour culminates in a tasting of various chocolates. Yes. You read that correctly.